Humble Grumble – Guzzle It Up! Though I sometimes fail to believe it, there is still progressive music being produced nowadays of the same quality as in the 70s when prog had its heyday. You just need to know where to look; the search can be like trying to find a needle in a haystack, or a lyric that makes any sense in a Jon Anderson song. Fortunately, there are websites like The Progressive Aspect to help you find that plateau of awesomeness which is so difficult to find; I can point you in the right direction by simply saying the name Humble Grumble. Released on the Italian AltrOck label – a bastion of quality in today’s age if there ever was – this is the fourth album from the quirky Belgian artist Gabor Humble, and his second on this particular label. His music could be most safely described as Canterbury Scene, but with 21st Century sensibilities. In each song he weaves eccentric humour in either lyrical or musical form whilst all the time retaining that quintessentially Canterbury flavour, defined by light yet complex melodies. All this would mean nothing if the music itself weren’t so damned good. Each track seems to offer something new and different, while staying uniquely Humble Grumble. Even within tracks, there will be many dramatic shifts; in Accidentally in San Sebastian I count at least four different sections in about as many minutes. From the light but complex sensibilities of Kurt’s Casino right through to the dark heavy 5/4 riffing of Skunks, you’ll find something to quench your prog thirst here. With seven tracks in total, there truly is a song here for each day of the week! This is an album I could probably spill many words over, but ultimately I feel it’s best if I shut up and leave the rest for your ears to discover. 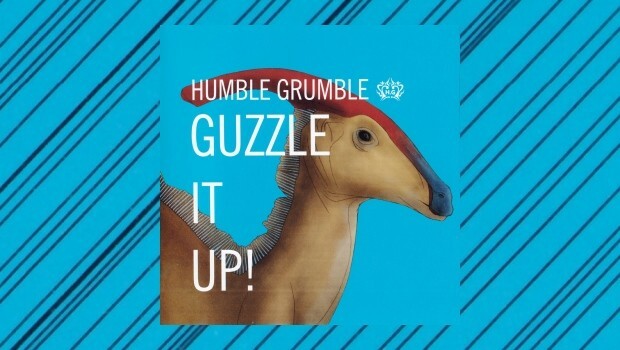 What I will say to conclude is that Humble Grumble is one of those rare bands that have a clear vision of what they want their music to sound like and know exactly what resources to use to achieve that vision. The results are simply breathtaking.